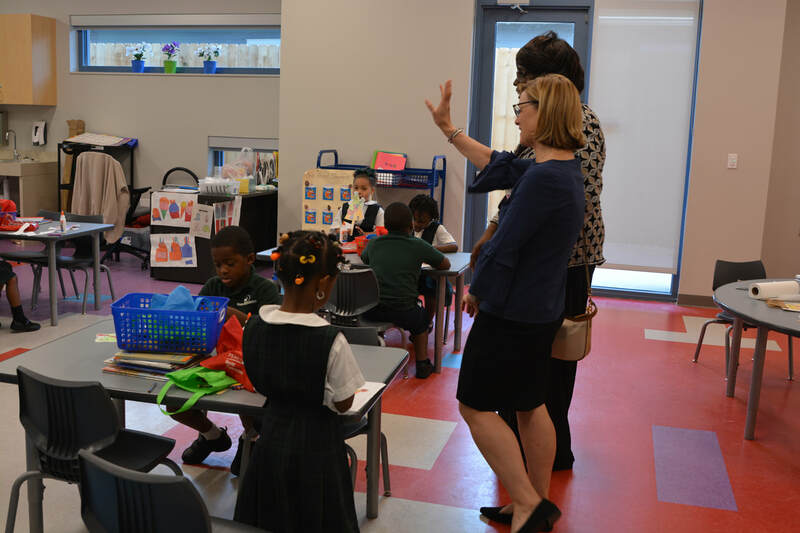 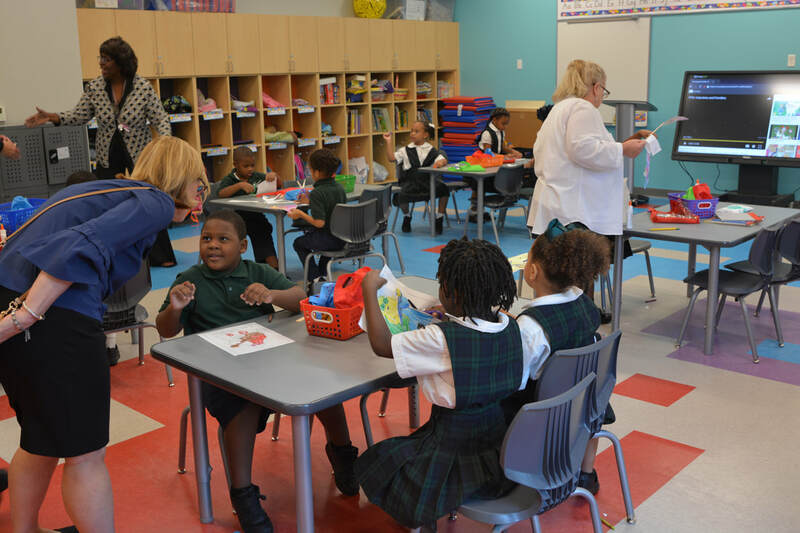 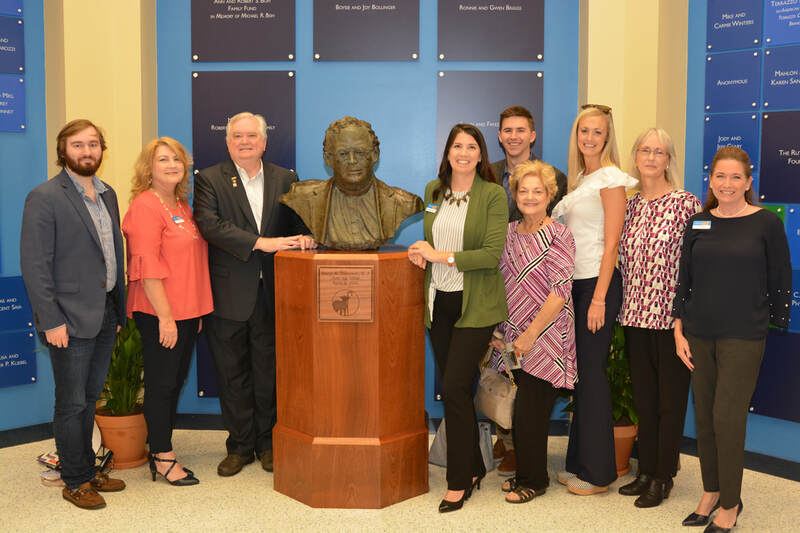 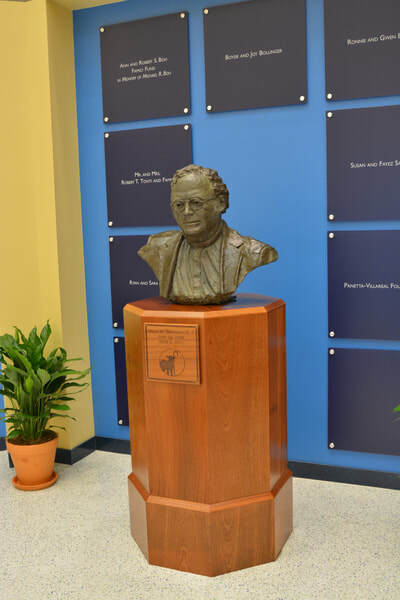 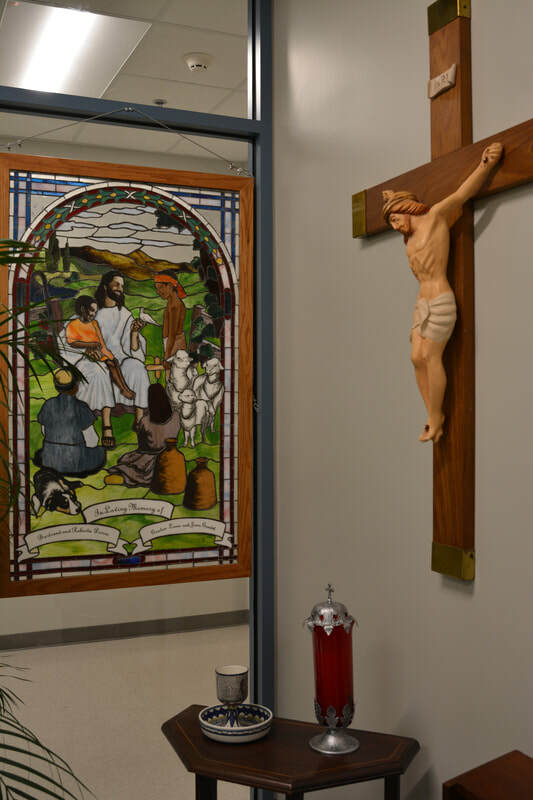 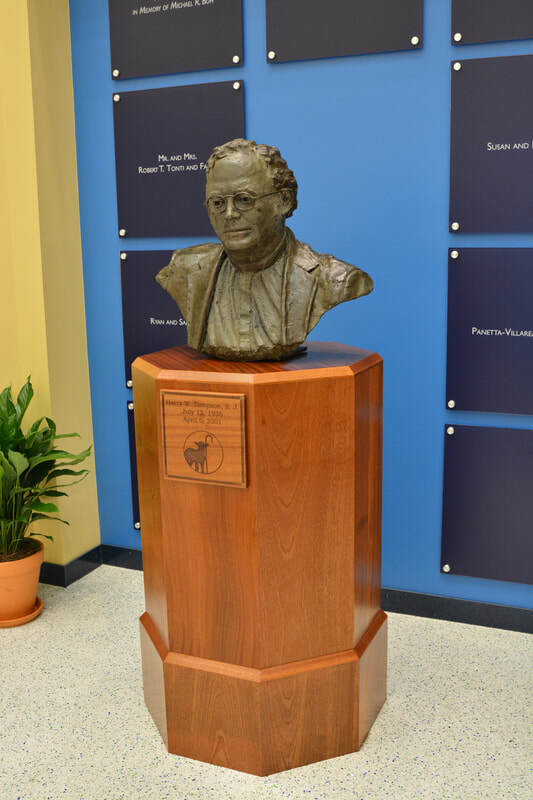 The 1839 Agriculture Street campus was officially dedicated and blessed by Fr. 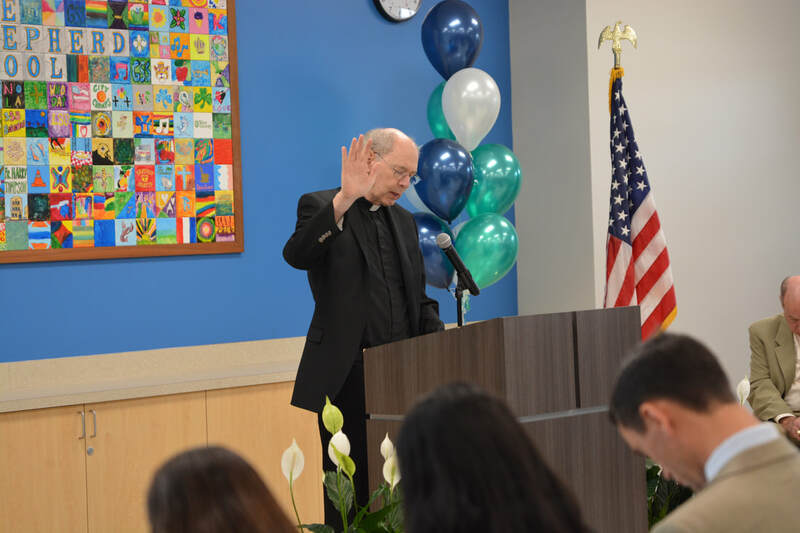 Anthony McGinn, SJ on Friday, September 28, 2018. 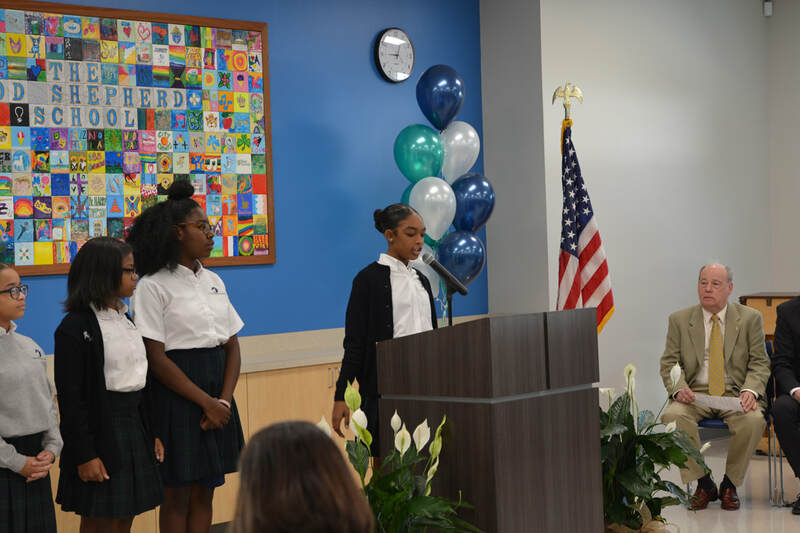 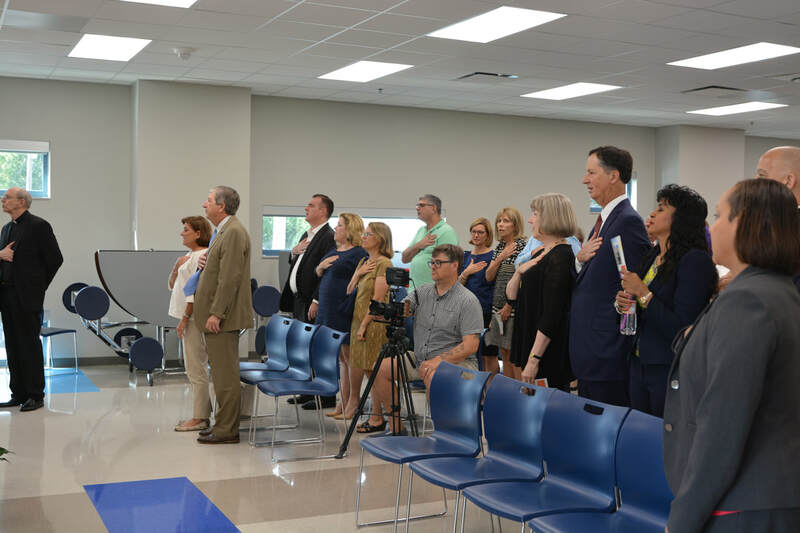 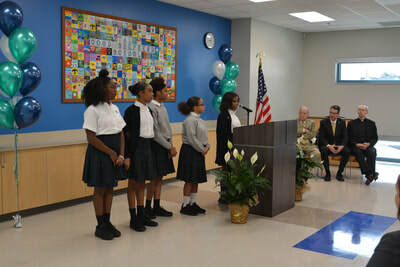 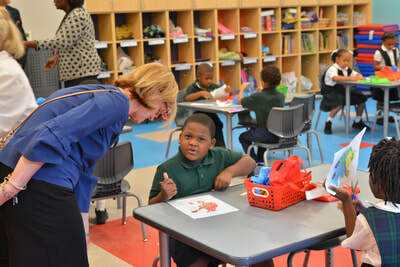 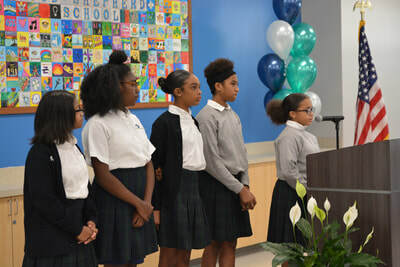 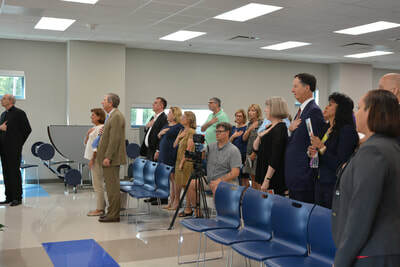 Over 150 guests in attendance began the morning in the cafeteria where students began the celebration with the pledge of allegiance and the GSS school pledge. 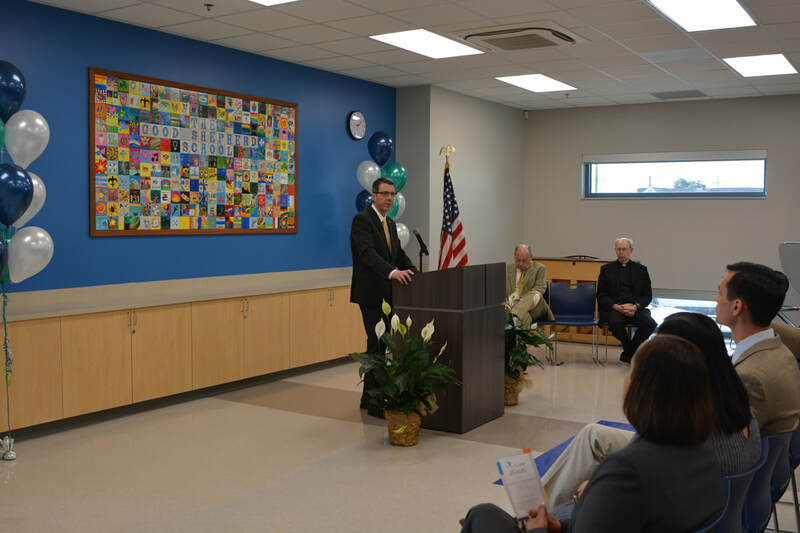 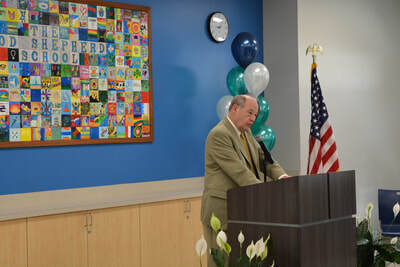 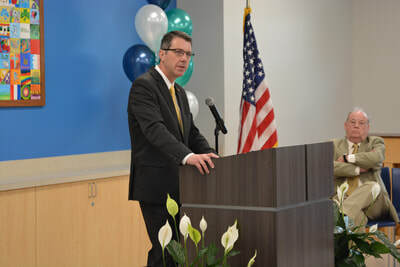 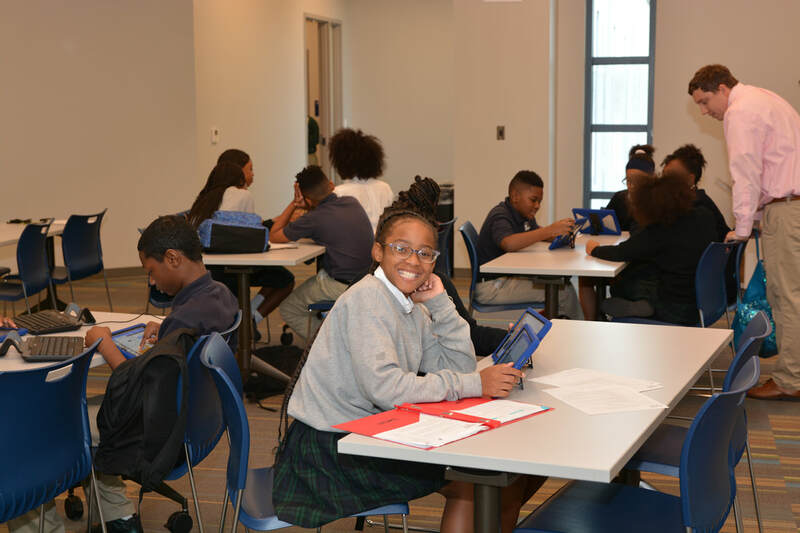 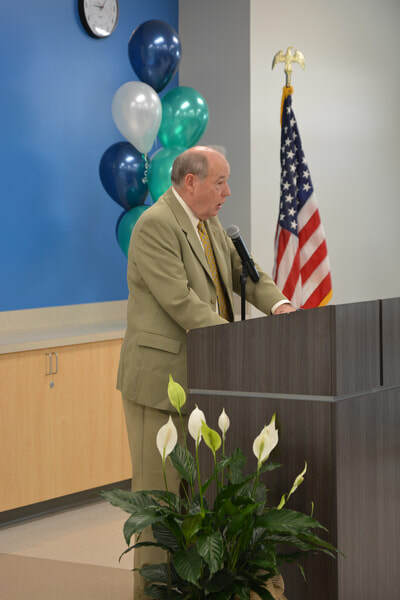 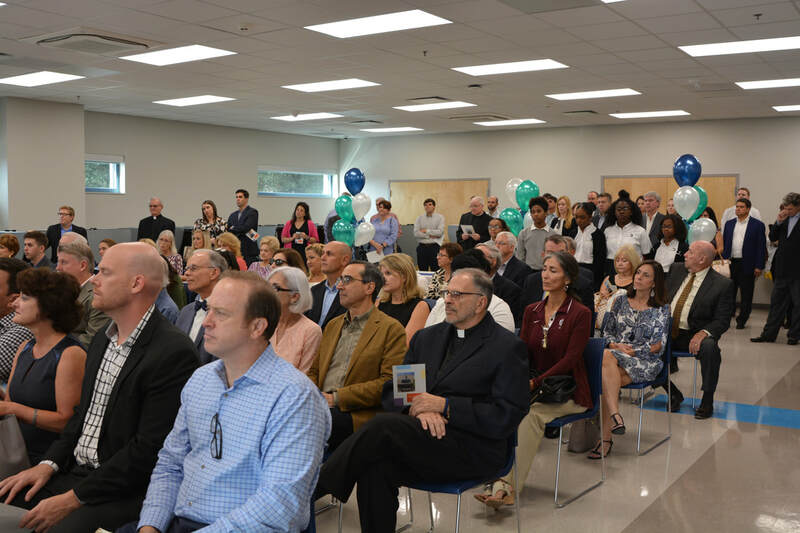 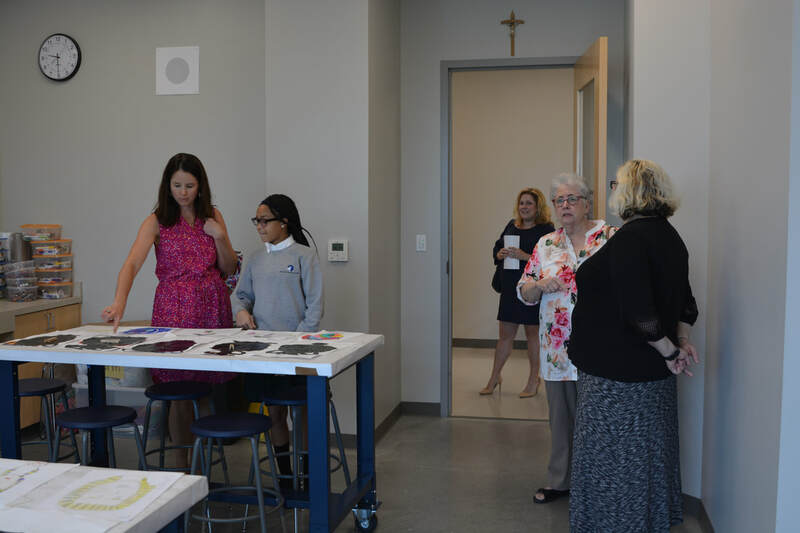 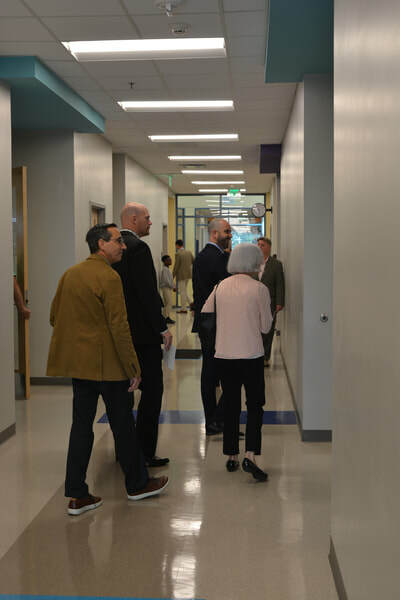 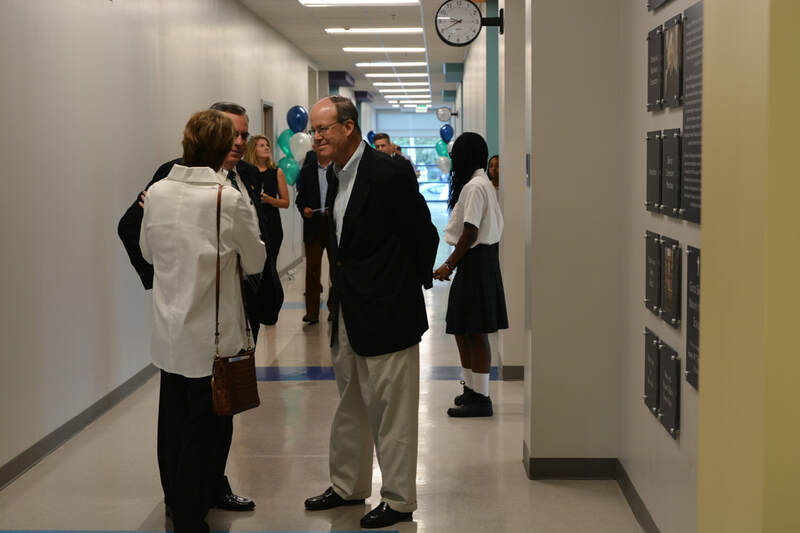 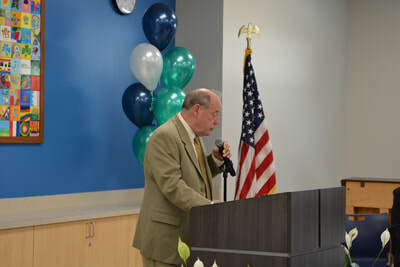 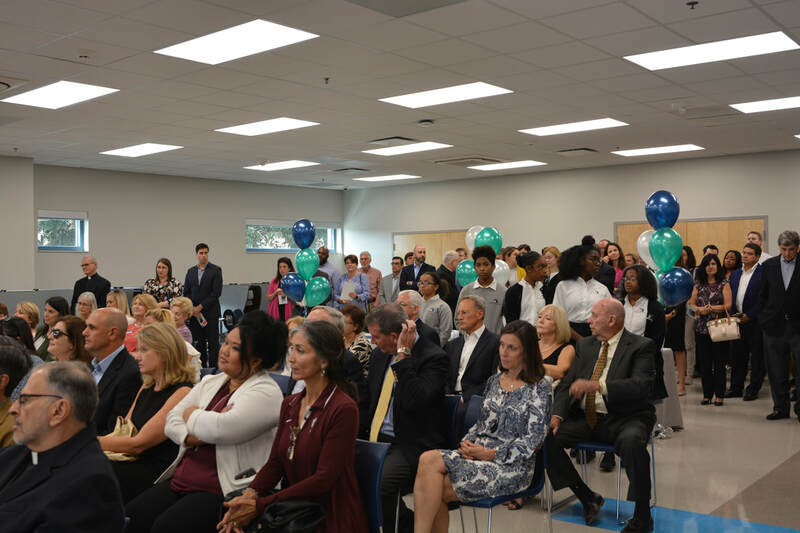 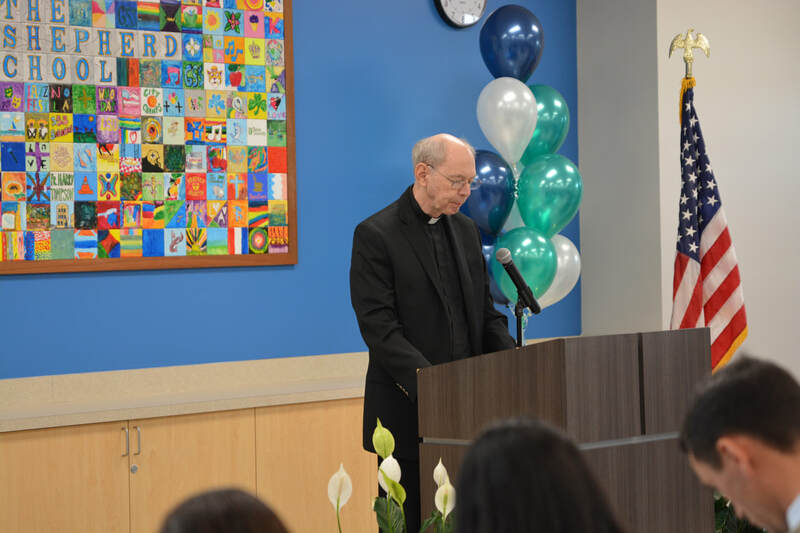 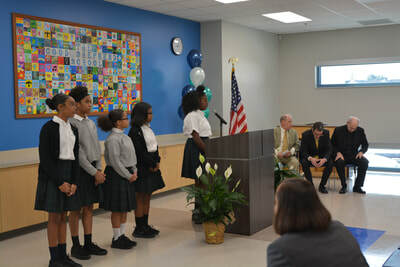 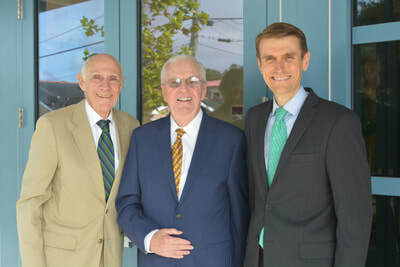 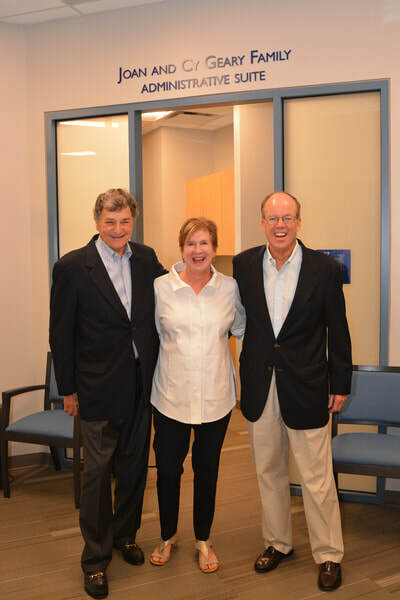 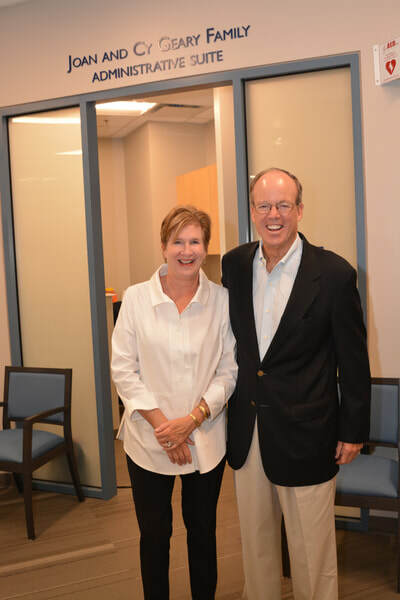 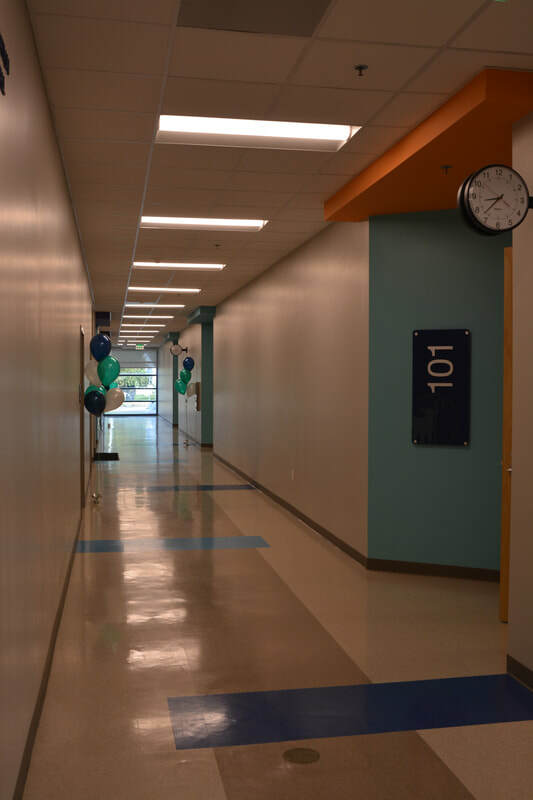 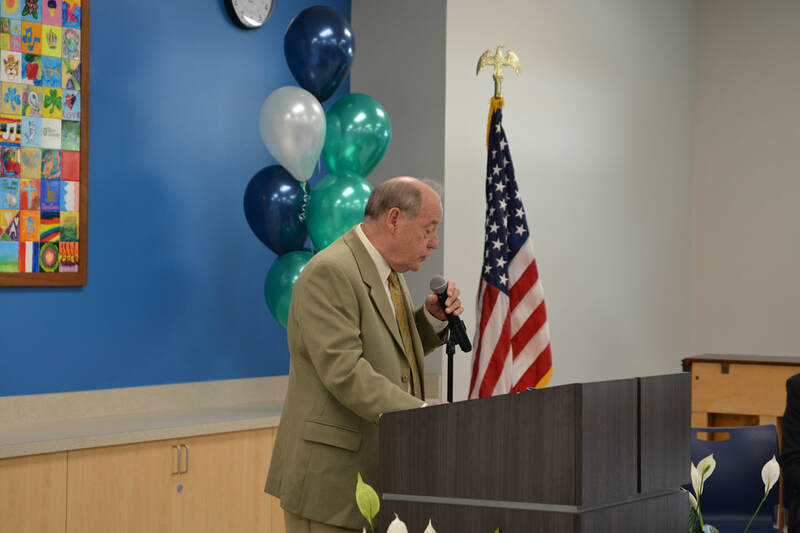 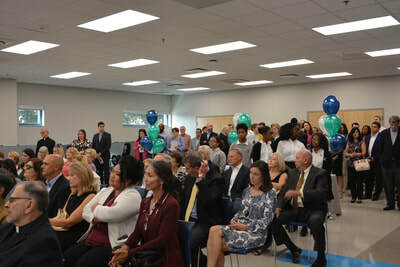 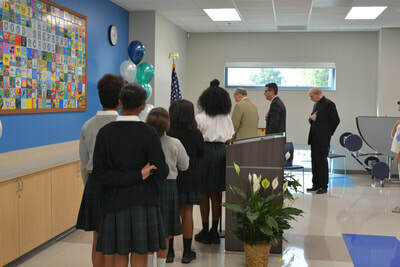 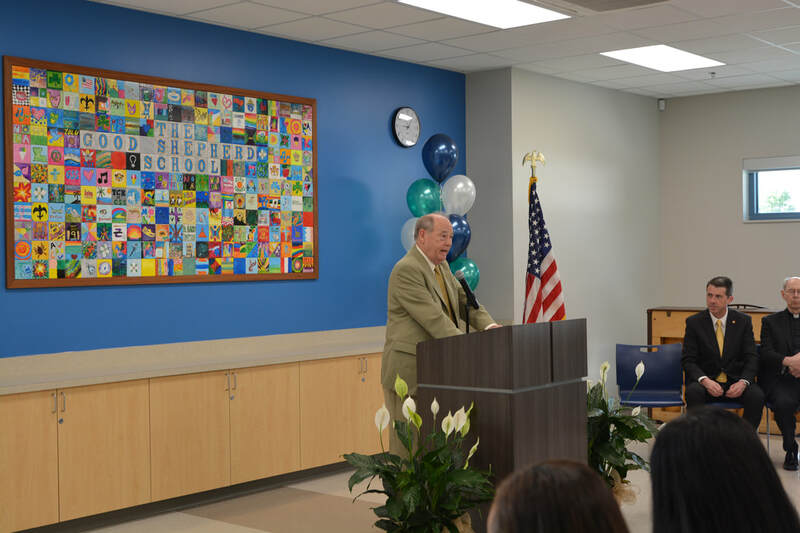 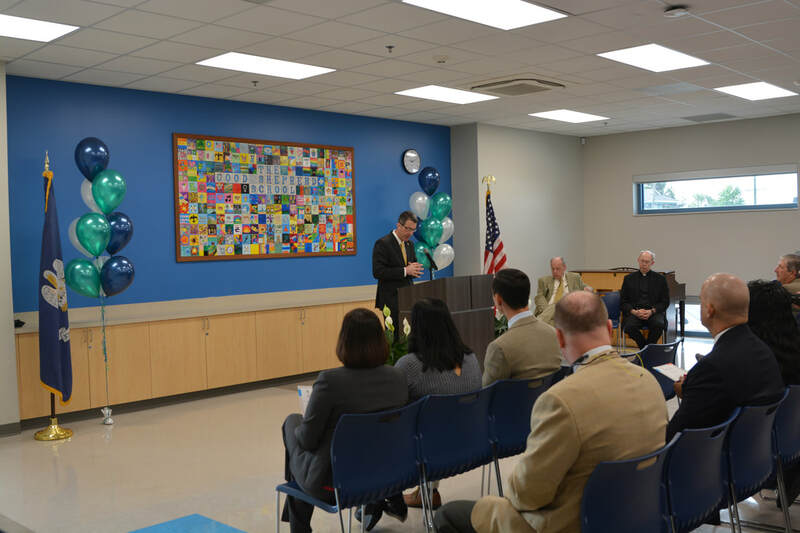 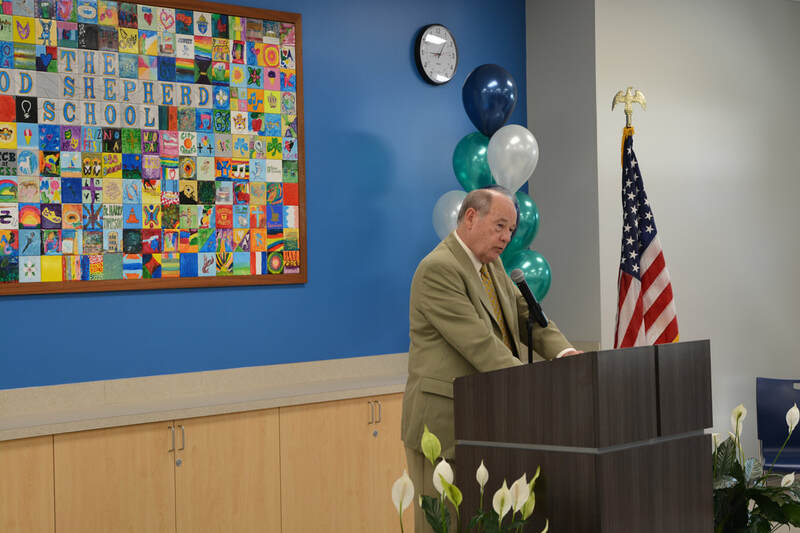 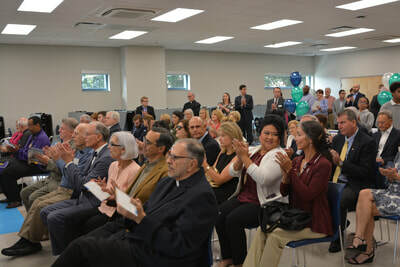 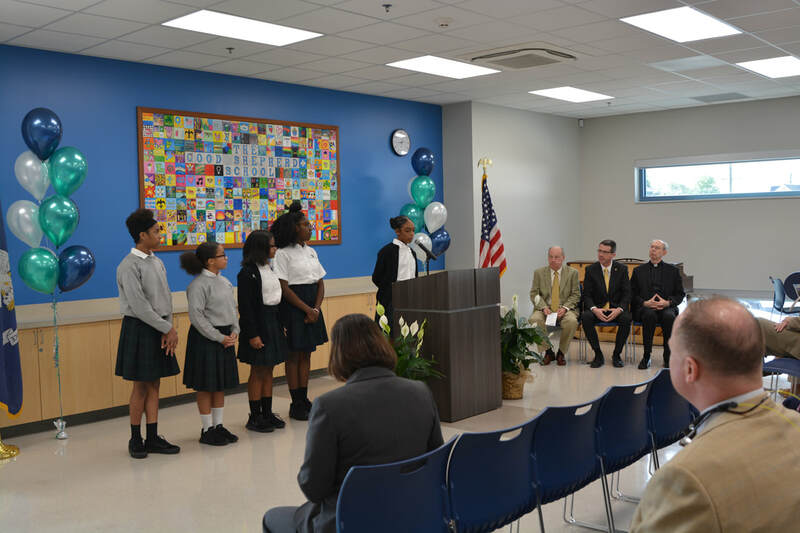 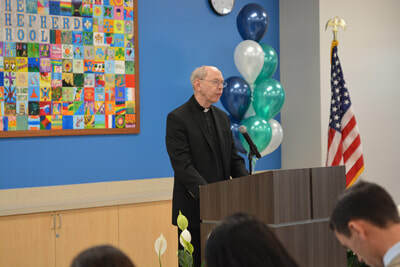 After the blessing and speeches by Mr. Ronnie Briggs, board president GSMN, and school president Mr. Thomas Moran, the guests walked the brand new campus. 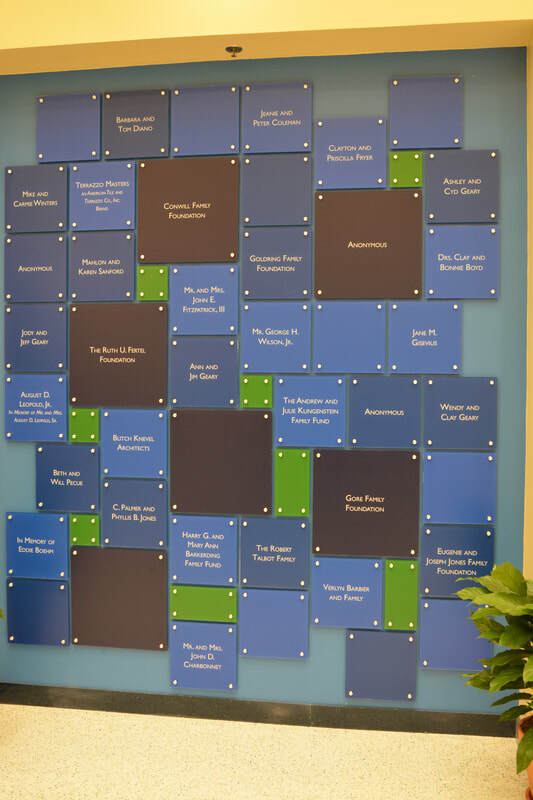 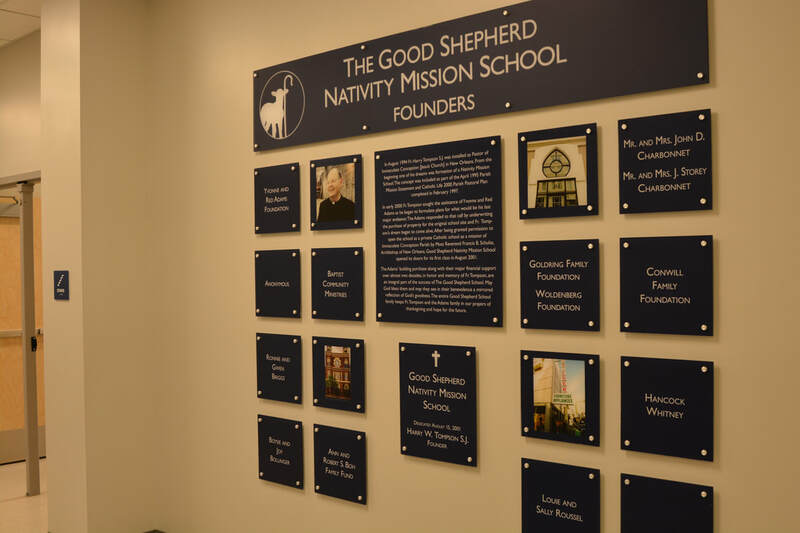 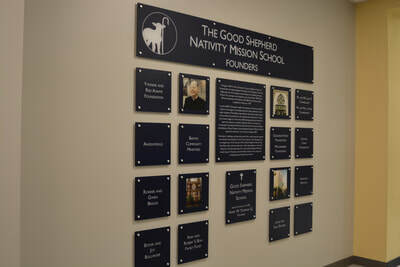 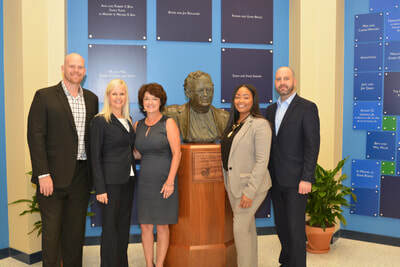 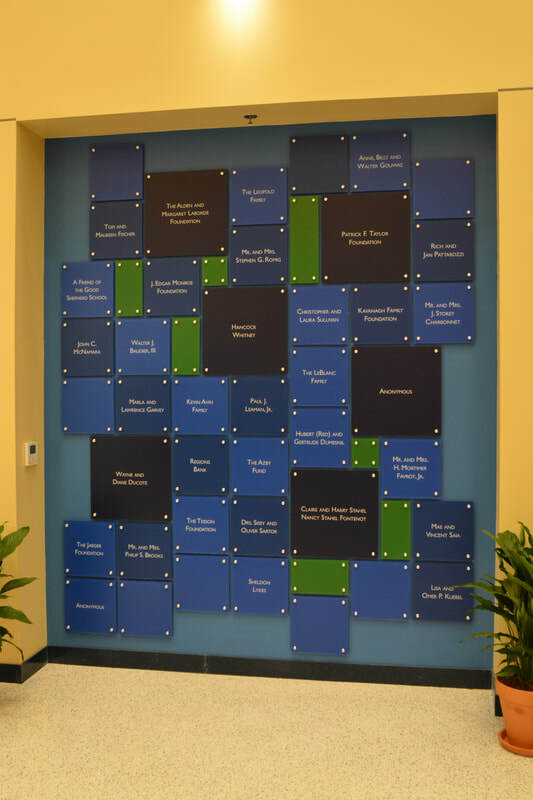 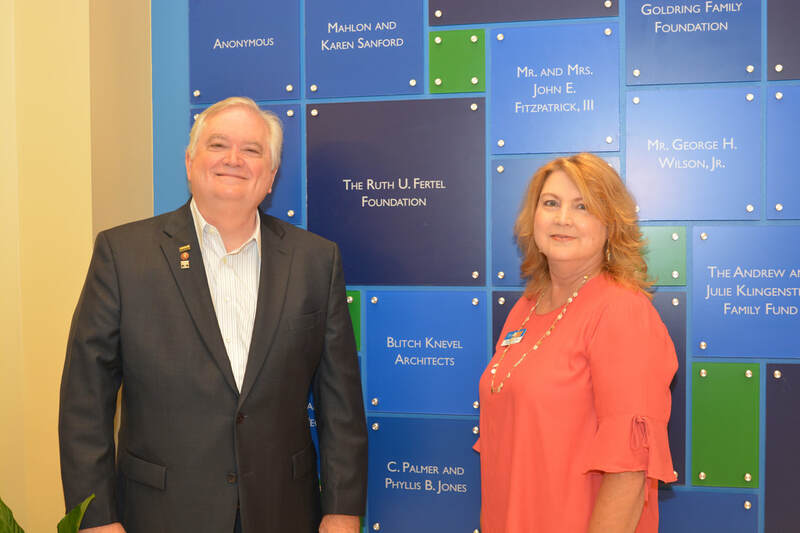 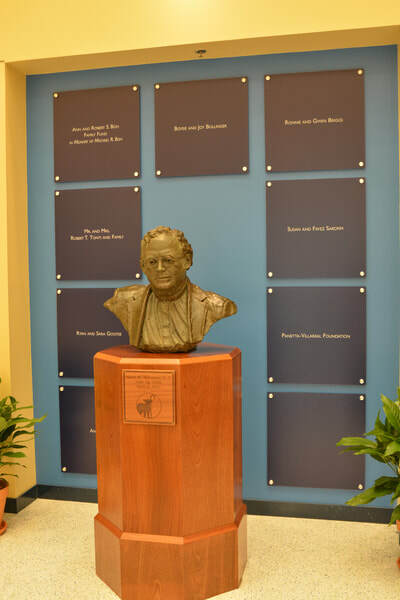 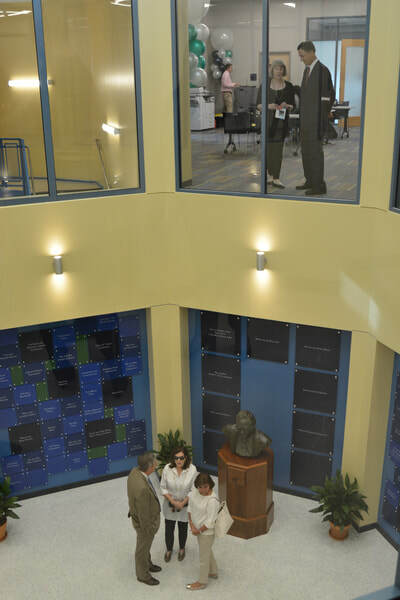 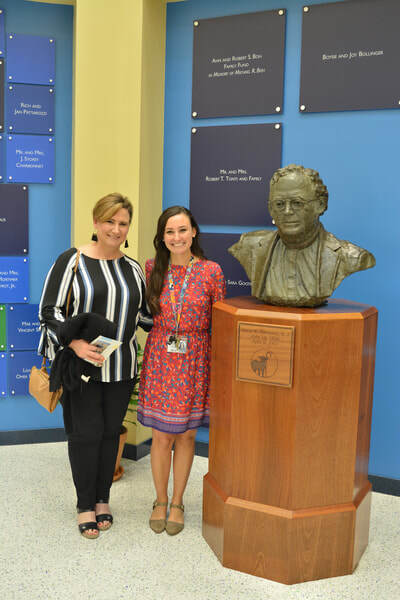 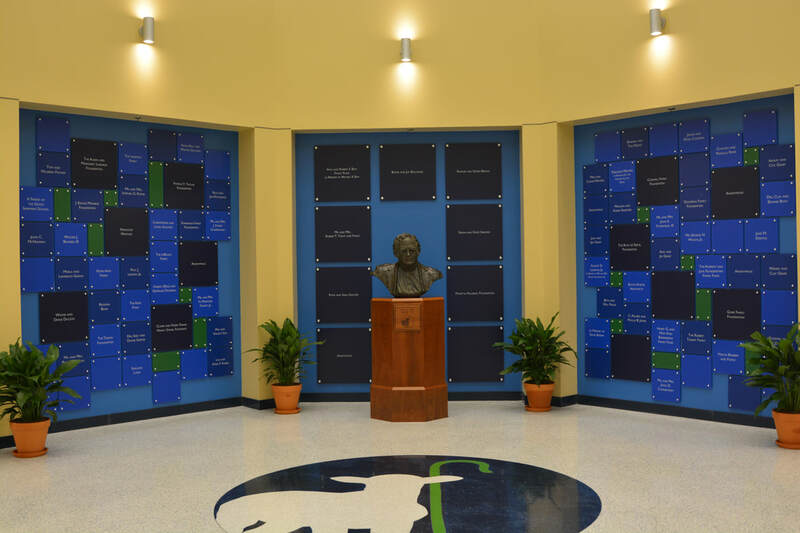 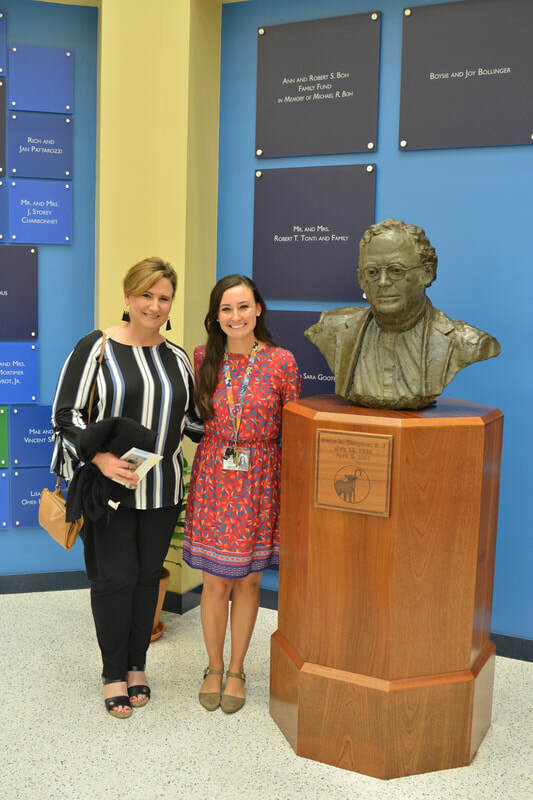 Guests were able to see the students in action around campus as well as see the newly installed donor wall in the atrium. 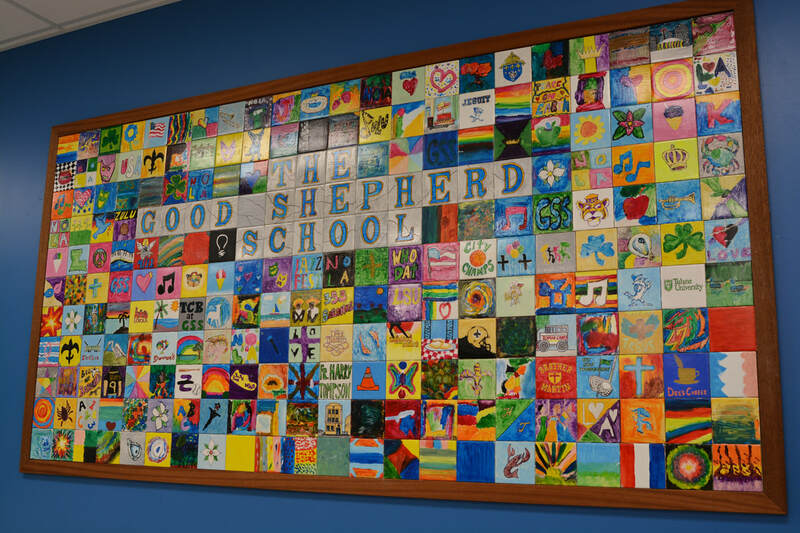 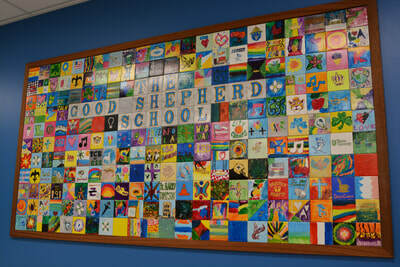 A special thank you to everyone who contributed to the success of the building project.